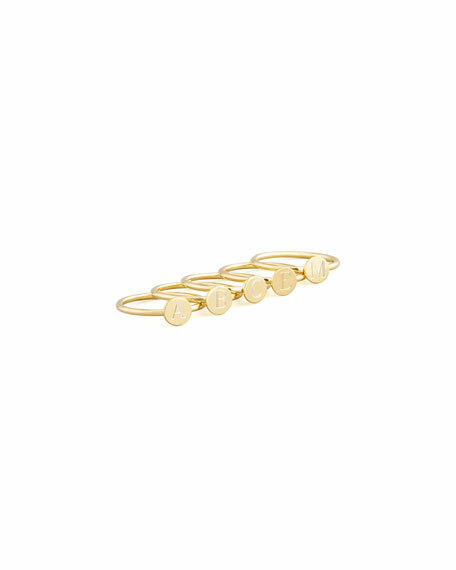 This Sarah Chloe ring boasts your initial in shining gold. Make it your signature piece. Round center features block letter of your choice.